Happy Sunday! I hope everyone has had a great weekend so far! 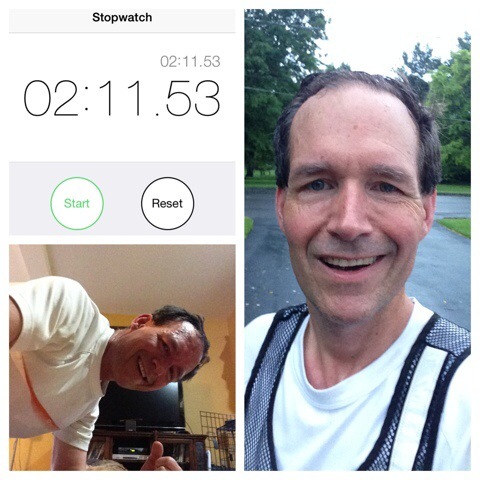 Just a couple of quick items today – new tech and my weekly running summary. 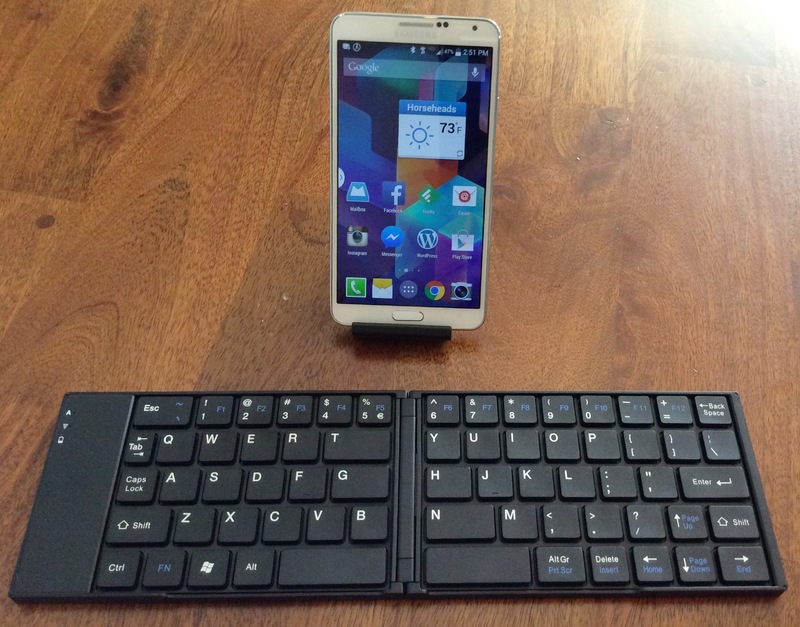 As for the picture above, that is my two-week old Samsung Galaxy Note 3 with a Perixx folding Bluetooth keyboard. It works really well, weighs next to nothing, is easy to carry, but some of the keys are a bit funky in size due to the folding split. Also related to Samsung, they already have the Gear Fit ($149.99 at Amazon.com), which is an activity tracker that pairs with your Samsung phone … it has met with mediocre reviews. – Microphone and speaker to use as a speakerphone. At the estimated price of over $200, it isn’t clear this will be much of a hit, but it looks intriguing – especially the waterproof design. 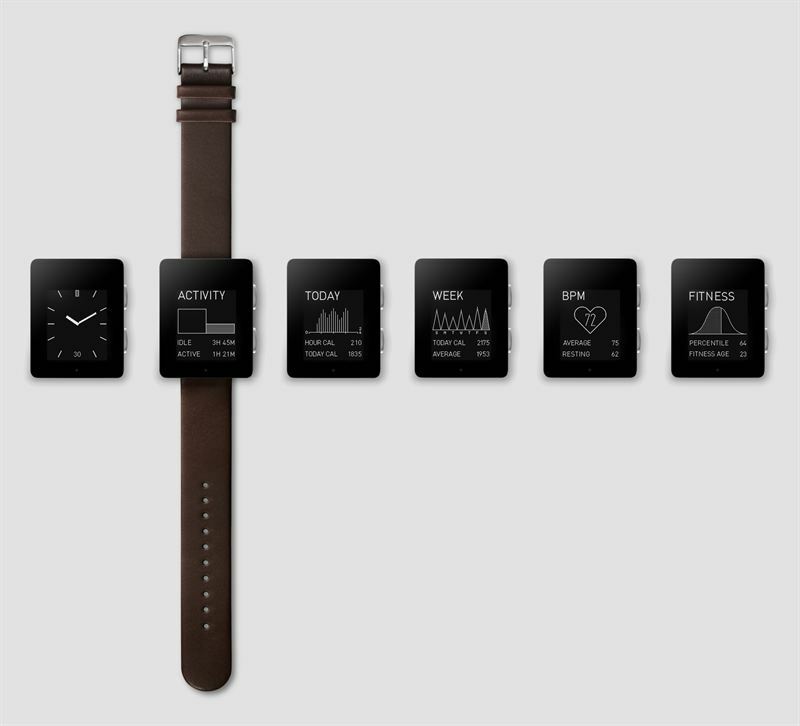 What I love about the Wellograph (official site) is that it is a great looking device, but it also has a three-LED heart-rate monitor that should be effective at tracking real-time activity. I am very excited and am hoping to get to check this one out for a review (at least that is the current plan). •Wellograph reminds users to sit less, move more and get active. •Wellograph expresses how much of a user’s day is idle vs. active, in hours and minutes. 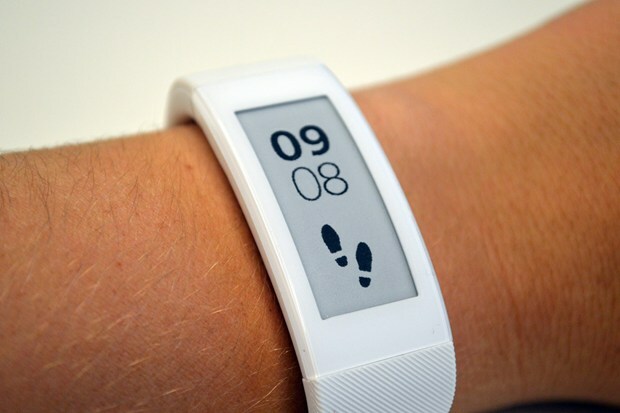 The device offers a today view to show how many calories users have burned each hour and their total for the day. Additionally, the week view feature displays frequency, intensity and time of their week’s activities. •Wellograph measures the quality and quantity of a user’s activity vs. simply the quantity, as the harder the heart works, the more calories burned. Wellograph encourages users to get their heart rates up via high-intensity physical activity and displays a user’s current pulse in beats per minute, including their high, average and resting heart rate each day. They are also provided with an exercise score based on how much aerobic activity they completed each day. After extended use, Wellograph will rank a user’s cardiovascular fitness and estimate their true fitness age, a feature unique to Wellograph. •Users’ steps information is shown automatically as soon as they start moving and totaled to compare how much they ran or walked today vs. yesterday vs. their set goal. 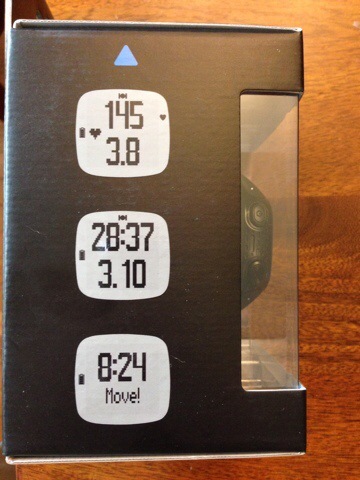 The device also offers users the ability to set a stopwatch, see their current pace and distance covered. After a run, Wellograph offers users summary stats about their run, including top pace, average pace, total calories burned and more. Unfortunately all of those good looks and functionality don’t come cheap – the Wellograph is pre-ordering for $349 through the main site and also through Amazon.com. I have already talked about how much I love the Garmin VivoFit I got for Lisa – it is a great activity tracker that is accurate, reliable, and has excellent battery life. Now Garmin has done one better by introducing the Vivosmart, which takes the Vivofit and turns it into a partner for your phone. Personally I know I have been out running and my phone in my belt chimes and I wonder about stopping to check (only phone calls and texts will stop me usually unless I am expecting something from work). With this, I could look at my wrist and I would get a preview of what just arrived. 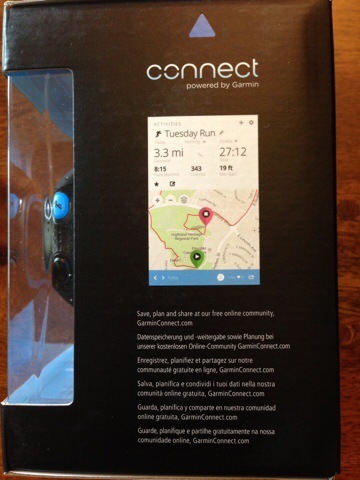 You can get more info or pre-order at Garmin or at Best Buy. The MSRP is $169.99. Sunday: ‘Rest’ Day – just 10 miles walking and shopping! Tuesday: 5.25 miles … ugh, awful run! Um … yeah, so much for that ‘lost mojo’ I was worried about! I ended logging 73.75 miles this week. One thing that is clear – I am very much feeling the effects of burning the candle at both ends lately! What new technology do YOU find compelling? How was YOUR week? I laughed the other day when I read Laura at Fit Fresh & Funny introducing her ‘ABCs and 123s’ post by saying “shamelessly stealing this from Mike, because he’s always got the best ideas for a blog post!” Isn’t that something we ALL do?!? I mean, I grabbed the ‘alphabet post’ from Amanda at Running With Spoons from a two year old post she did, which I assume was part of a popular post-scheme at the time … since there seem to be ‘campaigns’ that make the rounds. Well, in that vein … almost two weeks ago I loved this post over at The Girl Who Ran Everywhere … so naturally I stole the idea 🙂 So let’s get rolling with it, and if you like maybe you should steal it as well! 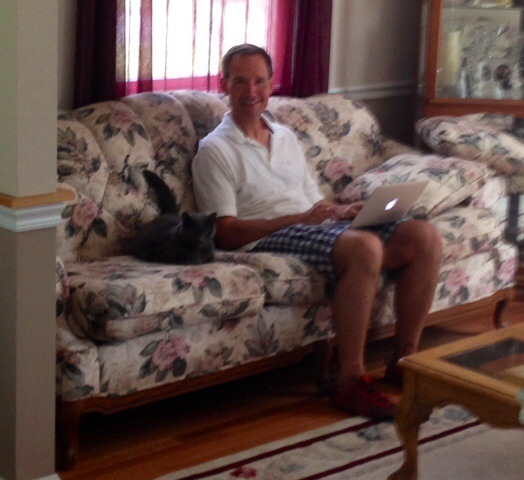 This … is my favorite room in the house, with our inherited cat sitting by my side. She only comes out of the basement when the dogs are out, and was snuggling with me for a while the other day, moving from side to side and walking across the keyboard. I love the room because there is no TV and it is away from the main kitchen-dining-family room hustle and bustle, making it relaxing and peaceful. This … is a moment that popped into my head recently as we were discussing Massachusetts. 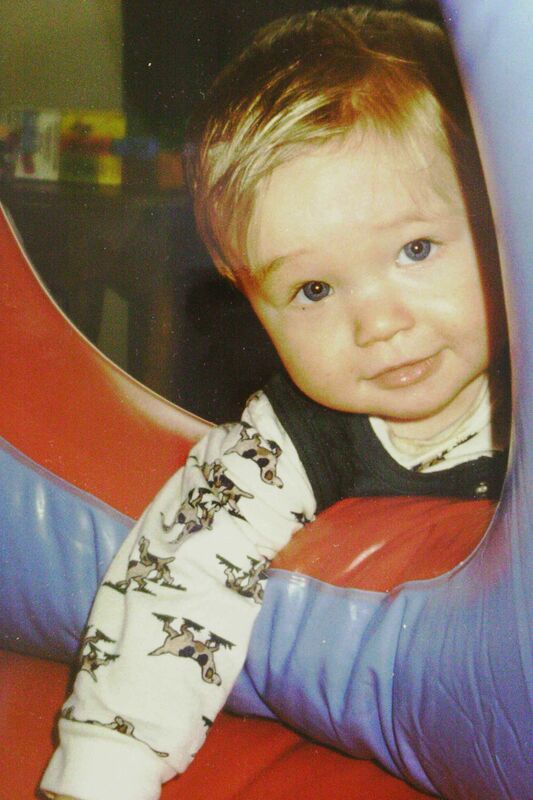 It is from Danny’s first birthday and he had a cool ‘ball pit’ that he loved to play in, and this was one of those great moments where we were able to capture him in action yet still for just a moment. I really love the look on his face. This … is my love of over-tracking and measuring everything in one image. Garmin FR-15, Polar Loop and Magellan Echo … all great fitness tracking tools, each with their own strengths and weaknesses. 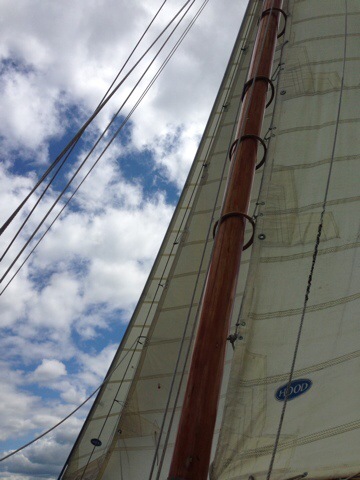 This … is where I want to be, who I want to be with, and where we hope to be for our 25th. We went to Sandals Antigua for our honeymoon, and they had ‘resort photographers’ constantly taking pictures around, and you could buy them … and this one we actually liked enough to pay the $5 or $10 (can’t remember anymore). Years ago we thought ‘let’s go back for our 25th’, which sounds awesome … until you realize that we will have two kids in college at the time! So we are not sure if or how it will happen, but as of now it remains a goal. Happy Friday! First off I wanted to again thank everyone for so many great comments across the entire ’10 Days of You’ series … it was really amazing to read, and the realization of how much of myself I exposed through these seemingly simple lists makes the comments even more meaningful. The picture above is my Day 5 collage from Megan’s ‘Ab Challenge’ … and I am pretty pleased with my progress – I am up over a 2 minute plank along with the rest of the ab work and continuing to get in my runs of around 8 – 9 miles every day. When I took a couple of weeks to ‘step back’ from blogging a few months ago, there were a number of frustrations and other things I needed to sort out … which have ended up in three different draft posts I am finally dealing with. One is on how people treat others, another is on honesty … and this one is about the inefficiency of blogging as a form of communication. But just saying that by itself doesn’t really mean anything without context, so I wanted to explain WHY I find blogging to be such an inefficient time-soak, and compared to what. As I did that I was thinking about a bunch of other ways technology has become more time-intensive without necessarily delivering more value over the last couple of decades … oh, and before you jump to the comments immediately to tell me how wrong I am, I rebut pretty much every one of my points later in the post! Does anyone reading this remember the days before the web? When I got out of college and wanted to continue to be able to communicate with friends, there was email. Modems were mostly 1200 baud (bits per second … about twice as fast as you can type), and used a phone line. But there was also this thing called USENET. USENET groups were discussion groups that were handled on a distributed network of servers that replicated the discussions worldwide. You would have a single USENET reader program that would load all of your discussion from your assigned server. Your program would track read and unread, and also discussions you ‘starred’, started or participated in. 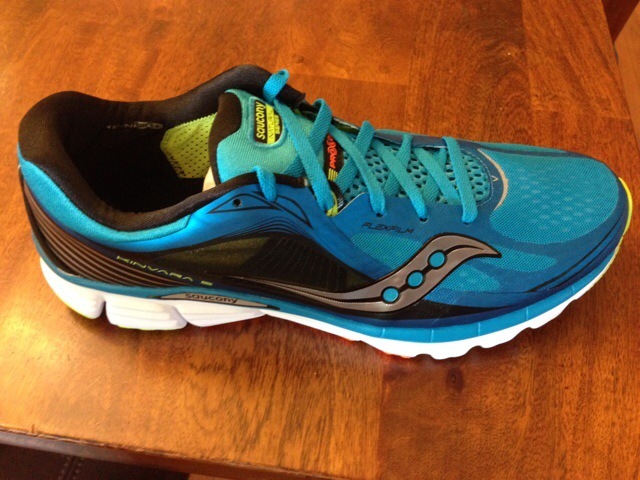 So if you were interested in new running shoes, instead of writing on your blog ‘hey guys, what would you recommend for me for running shoes?’ you would post the question to the group rec. running, and a discussion would start … you would supply details, get questions, probably have a side thread or two about certain manufacturers being crap, and so on. Very often the discussions took on a life of their own. And how would you find groups? Search your server. If you had just listened to music and wanted to see about others who liked that piece, you might go to rec. music.jazz. Or if you had a programming question you could go to comp.lang.c++ and people from all over the world would try to help. USENET was a very democratic area, where anyone could start a discussion, and once it was out there … it was no longer ‘yours’. But with the rise of the web in the 90s, special interest websites popped up everywhere, gradually killing off USENET participation. An early site I helped out with and participated on was JediKnight.net, which came out after the game Dark Forces as fans waited for the first Jedi Knight game that eventually arrived in 1997. There was news, but mostly it was about the discussions. What happened with web forums was that the discussions of USENET were decentralized – so you could find a running site which would have all sorts of discussion topics about technique, equipment, and so on. 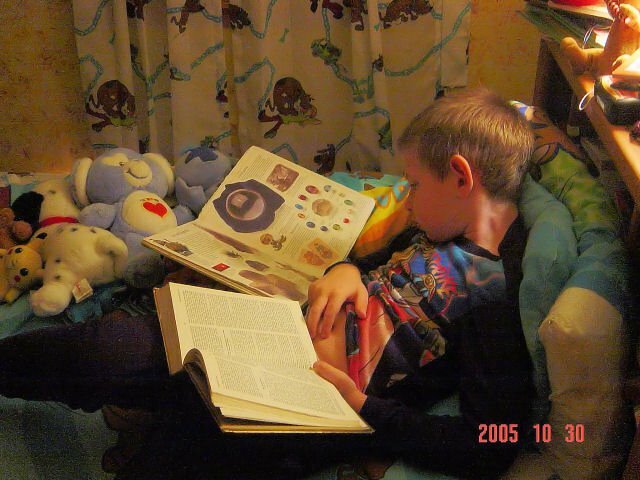 Most also had ‘off topic’ areas where you could talk about music, politics or whatever. Suddenly if you were a video game fan you needed to track a dozen forums to keep up with all of your discussions! But it remained democratic to an extent – all members were pretty much equal, with moderators and site owners having the final word. 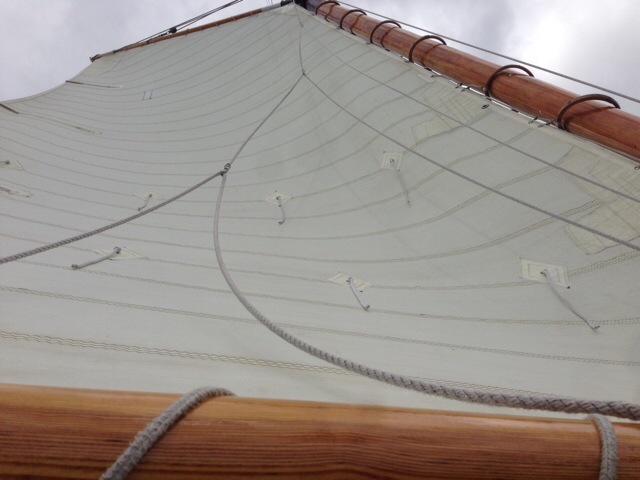 Blogs are different – my blog begins and ends with what I want to talk about. If you find my subjects interesting you can comment and follow my posts. But what I found when I started tracking running blogs two years ago was that within the comments were always MORE blogs … and many of them were really cool. So you’d follow another and another and … suddenly you have an out of control subscription list, and this is just as a reader! – Responding to comments on YOUR blog! So suddenly we look back over the last 25 years and realize that we have gone from an in-depth discussion of the harmonic implications of the song ‘Circle’ from Miles Smiles, including several thousand comments in a group with tens of thousands of ‘members’ across dozens of countries … to, well, me introspectively writing a blog article complaining about blogging compared to ‘the good old days’. First – MP3 Players. We all know that distracted driving is incredibly dangerous, yet I cannot begin to count the number of people I see on their phones or ‘looking at their laps’ while driving. I know a number of people who use their smartphones as MP3 players. Here is a quick test – how many actions does it take you to stop the current song, change to a new artist, find a certain song on a certain album and play that? And how much ‘screen look’ time? Without doing the math, let em be blunt – it is MUCH less efficient, and MORE dangerous, than on a click-wheel iPod. Which is why I have one in my car. How is something that takes more effort and distraction to complete a task more efficient? It isn’t! Smartphones are simply less efficient music players, and a bad choice for the car. Similarly, our smartphones are amazingly powerful tools and the apps we now have are stunning in their depth and breadth. Yet if I had serious math to do on the go I would choose the 20-year old HP 200LX over any of them … in a heartbeat! With Lotus 1-2-3, a full HP scientific calculator, a hardware keyboard and dedicated numeric keypad … POWER! And that was one reason I held off on ‘smartphones’ until Android – ‘convergence’ devices were always inferior. Look at the keyboard on the HP Jornada 728 from 2002, and you might realize how well it would have worked as something to carry to every meeting and type up notes, do (offline) email, and so on. Looking at the front you might realize it has dedicated hardware media controls – yes it was my MP3 player for quite a while! 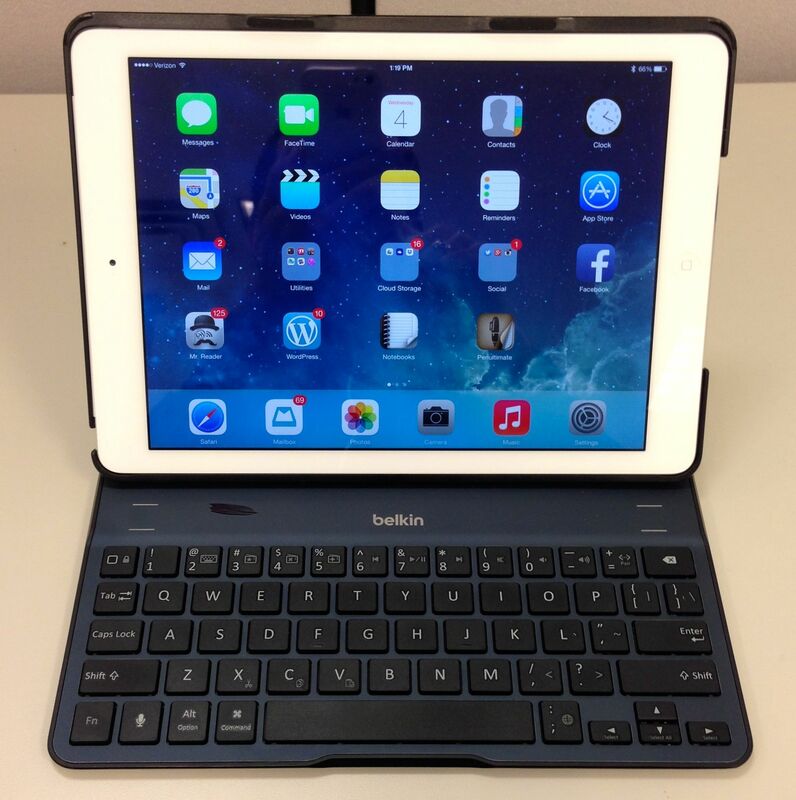 It has taken a long time for these convergence devices to catch up – something like the iPad Mini in a Belkin keyboard case is a great replacement for the 728 in every way. But think about it – how great of an accomplishment is it to ‘finally surpass a 12 year old piece of hardware of similar price’ … and to need add-on accessories to do it? There is a joke that we are raising a generation that appears to have an unnatural and humorous fascination with their crotches … that is they think they are ‘sneaking’ cell phone use or somehow being more polite by keeping it under the table – but it doesn’t change the reality of the situation. Think about it – when was the last time your were out to dinner with friends or family and you DIDN’T have to repeat something because someone’s attention was on their phone? 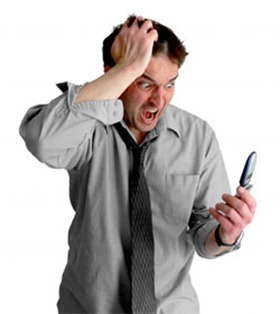 The priority order is skewed – we are more worried about who is on our smartphone than who is across the table. My point? It has been shown that for all of the ‘social’ aspects, our smartphones have made us much less socially engaged and worse at handling routine interactions. That is NOT progress. When I had my first job out of college, there were essentially no cell phones and pretty much all computers were desktops (and many people didn’t have external email addresses). If you wanted to have a meeting, you generally had to call someone – and if you needed to alter plans, you again needed to call them. Just this afternoon I had a meeting to help someone with analyzing some data. At 5 minutes after the meeting was supposed to start at my desk, I got a text asking if they could have 10 more minutes and if we could meet at THEIR desk. I didn’t even think twice about it until I was walking to their office, but that sort of thing would never have happened even 10 years ago. Oh – and THIS video pretty much sums it up. I remember going on vacation to Disney in 2001 when Blackberry was a new thing … and I had one of the models like in the picture (but they weren’t in color yet) and for the first day the constant buzzing bothered me and I felt ‘compelled’ to check. But the second morning as we were getting ready, I took one last look, shut it down and locked it in the hotel safe. I didn’t take it out again until we left. 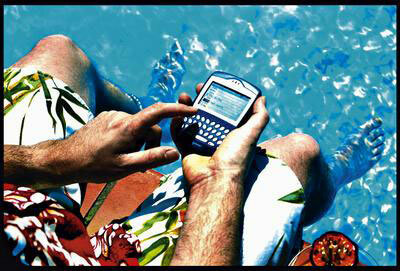 When was the last time you took a cell-phone free vacation? Or brought your phone but actually limited it to taking pictures, keeping up basic communications and that was it? For more and more people it is like the actual number of vacationers has doubled – you have your family … and their phones! 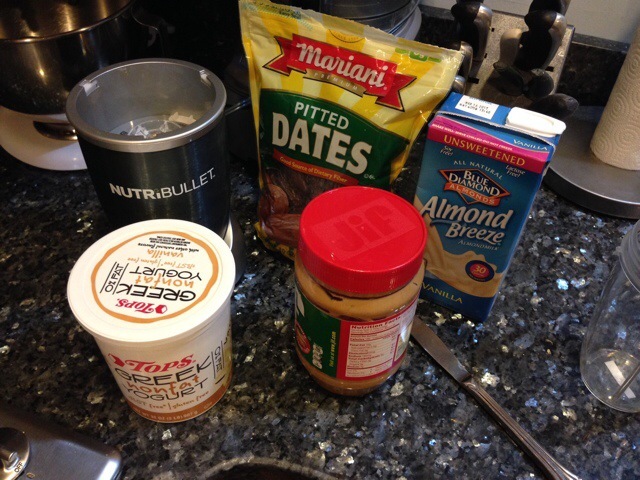 Of course, for every point I just made there is a counterpoint … and since they seemed obvious to me, I will make them! – The Joy of Blogging – it isn’t SUPPOSED to Replace USENET/Forums – Blogging is all about the celebration of the individual voice and the building of community. We love hearing what our friends have to say – both in posts and in comments. We have something to add and are interested in the reply for the original poster. It is that celebration of voices and community that makes blogging so great – and worth the challenge of the hard work and time required. I think about the amazing people I have met, the number of folks I genuinely consider friends at this point, and how much faster I have learned so much about them, and shared so much of myself, by blogging and reading blogs. There are people I have talked with on web forums for 20 years regularly I know less about than bloggers I have followed for 3 months. It is amazing. Also, those discussion I mention STILL happen – in web forums. If you want to talk music theory, head to All About Jazz, where there are incredibly talented people ready to talk – and share annotated links, multimedia files, and other stuff not possible 25 years ago. Same for optimizing virtual instruments in Digital Performer (MOTUForums), and gaming frame rates (numerous forums). Point is – they’re out there. Also, my USENET example comes from a time when the entire population of the internet was about 100 times SMALLER than the number of people who have viewed the #selfie video. Think about that for a minute … this is even before AOL came along, before ‘text speak’ existed, before most houses had a computer. – Smartphones vs. MP3 and PDAs – When I use my iPhone for music in the car, I am not playing just from when I have remembered to load onto the device, but instead from my entire music library. Last week I wanted to hear ‘Black Radio’ from Robert Glasper (check it out) but on my iPod I only had the ‘Black Radio 2’ album. On my phone that is no problem. Also, on my phone I have iTunes Radio, Slacker, Spotify, Rdio, Amazon Music, Google Music, and more to play music, Shazam to identify and buy anything I hear while out and about, as well as any number of musical instruments if I hear a tune and want to learn on the go. Also, I have a full HP-15 calculator on my phone as well as full-featured statistical analysis programs on my iPad. I can go into the lab, grab data, analyze and graph, and report it out all from my tablet quite easily in a way I never could without a full laptop in the past. 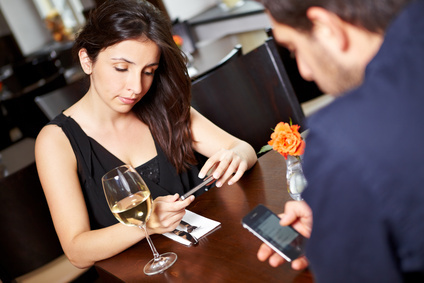 – Smartphones Require Social Discipline – if you are on a early date and look like the couple above … smartphones are not your biggest issue. Communication requires … well, communication. 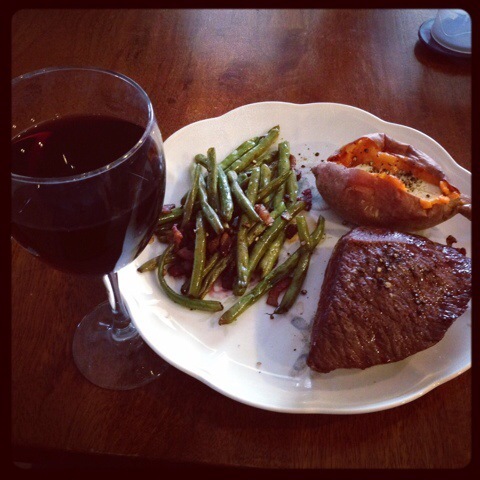 There are times when you WILL look like that, and sometimes it can be fun – there are times Lisa and I are hearing from the kids, or have posted a picture of us on a date and are getting responses and sharing them together. It is up to us – technology really CAN add to the social environment … we just need to use discipline and always remember to prioritize the people we are with. – Smartphones Allow Flexibility – I remember getting crappy directions to a place in Cambridge way back in the late 80s, a part of the city I’d never been to, and struggling to find it. I finally found a pay phone, thankfully had change, and called the office to get better directions … which were only somewhat helpful as I had to call once again to notify them I’d be late. With a smartphone and GPS none of that would have happened. Also, that scenario of the quickly changed meeting worked out fine (although notification BEFORE the start of a meeting would always be better). Social norms still need to apply – we need to be polite and respect other people’s time and feelings … but otherwise rapid communications allows unprecedented flexibility. 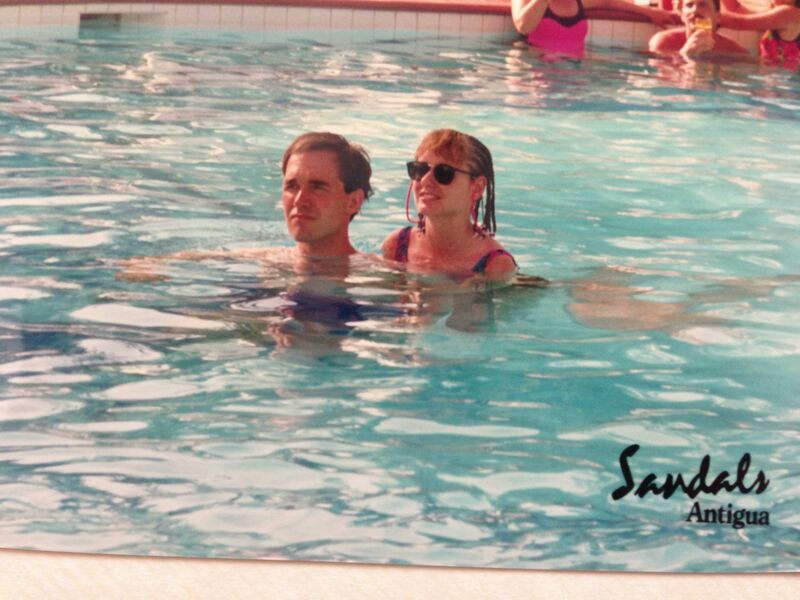 – Smartphones on Vacation – you know that commercial of the family trip where the daughter seems totally disengaged and into her cell phone, yet at some point produces something documenting everything they have done with ‘best vacation ever’ capturing so many great moments? That is closer to reality … sure our devices tag along – but they also help us grab moments, because as the saying goes the best camera is the one that is always with you and ready to go! So What Do YOU Think? Do I have any points, Did I negate them all with my counter-points, or is this just my ‘Grumpy Old Man’ showing?!? 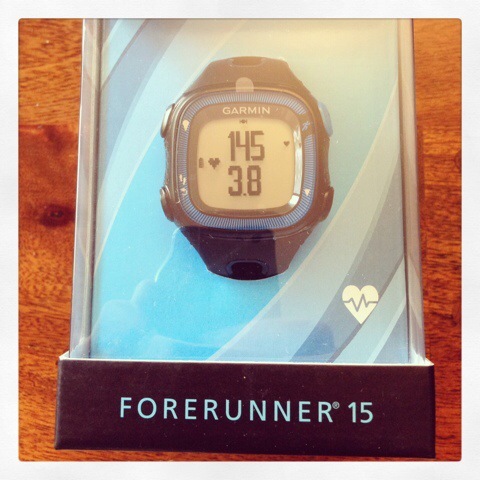 Just two days before my first marathon in 2012, Garmin sent me their new ForeRunner FR-10. 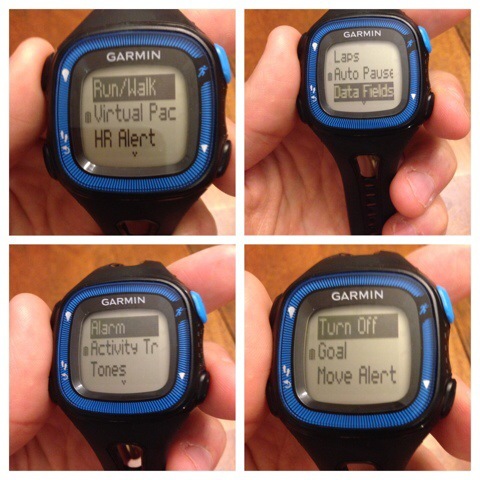 It’s an entry level watch with the right amount of tracking features for most casual runners and racers. Since then I have reviewed a number of watches, and rounded them up here. 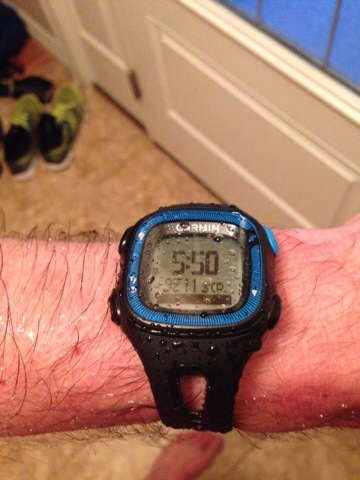 When Garmin contacted me I jumped at the opportunity to check out their new entry level GPS watch! The FR-15 is easy to recommend, delivering new and improved functionality in all ways except for one – read on for more details! Run with all your heart. This easy-to-use GPS running watch tracks distance, pace, heart rate1, calories and Personal Reacords.Pair it with a foot pod2 to capture distance data on treadmill runs. Forerunner 15 helps you stay on top of your fitness goalsbetween workouts with Activity Tracking features that remind you when it’s time to move and count steps and calories burned allday. The rechargeable battery lasts up to eight hours with GPS on or five weeks in watch/Activity Tracking mode. 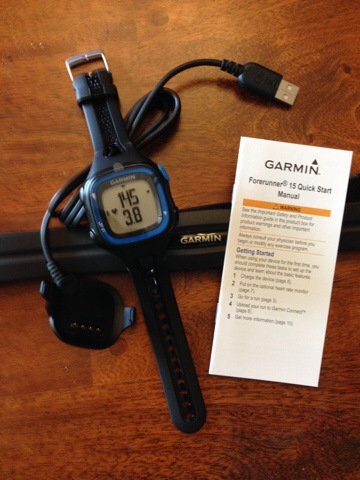 Upload to ourfree online community, Garmin Connect, to join fitness challenges and save, plan and share your progress. If you look at the FR-15, you will note that it looks a lot like the FR-10 … because it does. 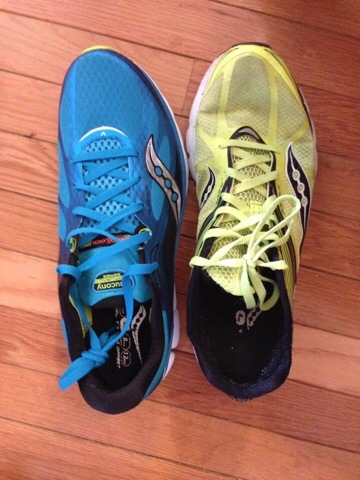 In fact, aside from now having a stylish blue it is virtually identical! That isn’t a bad thing – the FR-10 came in two sizes that worked well for smaller and larger people. The FR-15 is similarly comfortable and easy to fit on a variety of wrists. I had a bunch of people try it on at work and home (I’m pushy that way! ), and everyone agreed it was light and comfortable. Similarly the display is nearly identical to the FR-10, though I feel that the new display is even crisper. You get at most two items displayed at once – Elapsed Time and Distance, Distance and Pace, Heartrate and Calories, and so on. The text size is large enough to be easily visible at a glance. It is a great compromise – larger watches display more but are often harder to see on the run, and many similar sized watches try to display too much (like the Polar RC3) and end up with a confusing interface. That is where the FR-15 shines – all of the functionality is easily accessible, and the button controls are well labeled and intuitive. You don’t really NEED to read the manual, but it only takes a minute and then you won’t forget. Some of the features you can access are Auto-Pause, which is great if you regularly run in traffic and need to stop at intersections; Auto-Lap, which I (and seemingly everyone else) has defaulted to 1 mile; an ‘auto-pace’ that helps keep you on track; the data fields displayed on the various pages of the display when active; your weight for calculating calories; and a bunch of other settings. For fitness you can turn the system on or off, and set your goals and ‘Move’ alert. One of the biggest additions to the FR-15 is the fitness tracking capability, similar to Garmin’s recent VivoFit dedicated fitness tracker. This product space is interesting now – with Fitbit having to recall their entire ‘Force’ product, Nike exiting the space, leaving the Garmin ViviFit competing against the Polar Loop, Jawbone Up, and older Fitbit products. The allure of fitness tracking is obvious to most people – modern jobs and internet-centric society means more sedentary lifestyles than ever before, and more and more research shows that ‘sitting is the new smoking’, and that even people who exercise regularly need to maintain active lifestyles throughout the day. So a fitness tracker is a great way to ensure that you are moving throughout the day. 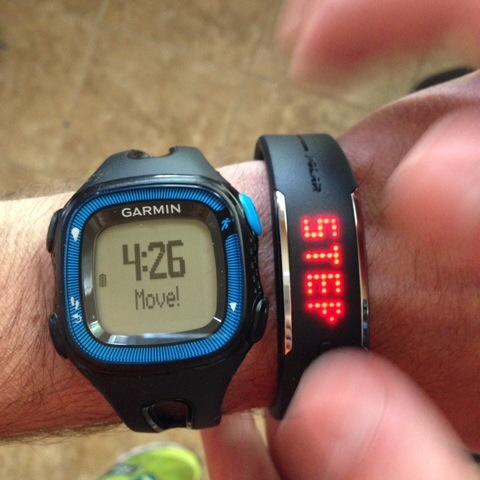 Using the Garmin FR-15 for tracking fitness is simple – enable tracking, and wear the watch all the time. That’s it – then just look at your watch and it will show your steps and progress against your goal, and tapping the lower-left button will toggle through steps, goal, calories and the current date. The data resets to zero at midnight, but your last 7 days are saved for later sync-up. Then the next time you hook up to a computer to sync the FR-15 your steps and sleep patterns. You get tracking across days, performance to target and so on, viewable on the web or your Garmin Connect app. The only thing lacking is that you have to manually specify your sleep hours – on the VivoFit you can hold the button and the system goes into sleep tracking mode, and you wake it up by holding the button in the morning. That makes the FR-15 method more approximate, but I still like the way it tracks and charts motion during the night. The FR-15 now features ANT+ sensor support, meaning that if you already have an ANT+ HRM (heart rate monitor) or foot pod sensor it will work with the FR-15. 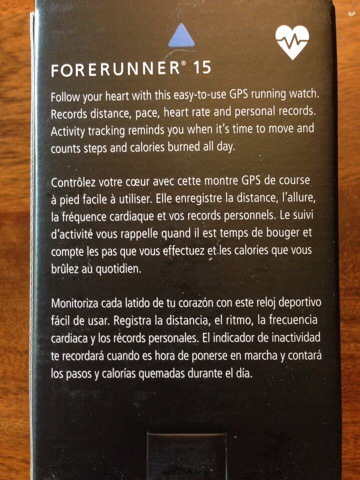 Garmin sent along the FR-15 model that comes with the heart rate monitor. I didn’t have a foot sensor to test. Pairing up the sensor was quick and easy, and I also tried with a couple of other ANT+ HRM sensors and it worked easily every time. The HRM is a standard chest-strap model, so you need to wet your skin and the sensor before it will find your heart rate for precise tracking. Once paired, the HRM has linked up for me every day without fail. And with the heart rate displayed prominantly on the screen I found it easy to use the system to maintain constant effort based on heart rate. Well, it was easy to see the display … the rest I’m still working on! The FR-10 specified a 5 hour GPS life, and based on my usage the last couple of years that seems about right. That means it is good enough for most people to run a marathon without charging the day before or after … and not much else. The FR-15 specifies 8 hours of GPS and normal use (since tracking is generally on), so I decided to test it out for a week. I didn’t plug in all week long, which meant tracking for 24 hours per day, using the HRM and GPS for at least an hour per day. At the end of the week I had done over 8 hours of use, was getting low battery warnings but everything still worked. I synced up the watch and everything was stores – activities, heart rate graphs and daily activity tracking. Very impressive for such a small and light watch. The joke would be that GPS is all about location – in more than one way. Not only is its basic function tracking location, but how well it syncs to GPS to get started can be the difference between fun and frustration. For me the Garmin FR-10 generally would link up within a minute at home, though when in different locations it could take longer. Last year when I was traveling for work it took a few minutes the first couple of times but gradually the lock came faster. For the FR-15 nothing much seems to have changed. At home the GPS is generally ready to go before I am, and on my trail run this weekend it still took less than a minute. Of course, if you had issues with the FR-10, chances are the FR-15 won’t be much better. Only one time has the FR-10 GPS failed me – running the trails of the PA Grand Canyon Marathon. So I was interested to see how the FR-15 handled the Catharine Valley Trail on my run … which ended up boring because it never had an issue! Syncing up the FR-15 is pretty much identical to the FR-10: you get a cradle that the watch snaps into with four contacts on the back. You plug into a USB port on Mac or PC, launch Garmin Express (which should auto-launch), and the data anto-syncs to the Garmin Express site where you can view it. You can also view activities on the Garmin Connect app for iOS or Android, though honestly it is of less value for the FR-15 than for my wife’s VivoFit. That is because the VivoFit direct syncs to the app, and also has features that work together with the app that the FR-15 doesn’t support. If there is one weakness, THIS is it – so many devices have moved to wireless sync that it is a shame that the FR-15 requires corded sync. Especially because of the fitness tracking – having to plug into a cable on a computer just to see results on your phone reduces the value of fitness tracking. 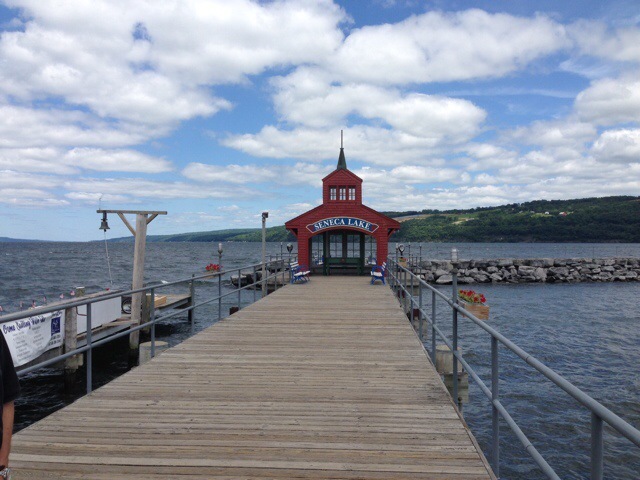 There are two areas that I looked at – walking and running. Running is … weird. And it makes sense – your stride length varies if you are doing hills or a long flat run, an easy pace or a more strenuous speed workout. As a result the tracking of steps to distance was fairly useless for me. I found that I could run the same basic route two days – on easy and the other pushing the pace – and get results that skewed by up to 1000 steps, which would be about 0.5 miles at a walking stride. 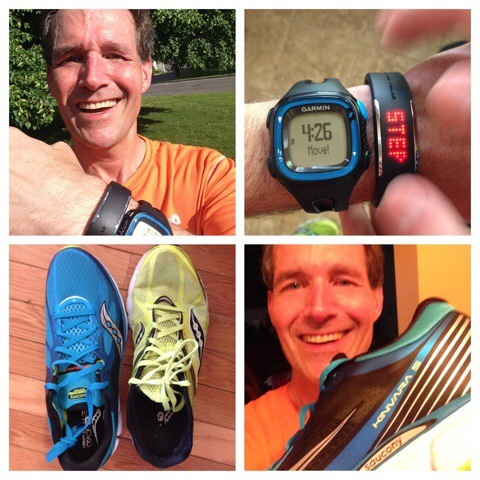 As a result I did what most people seem to do – not use the Garmin FR-15 fitness tracking when running. But walking is another thing – Lisa and I love to go for walks, so I was able to test the FR-15 against her Runkeeper app on the iPhone, the Garmin VivoFit and Polar Loop fitness tracker. All of these matched very well between miles and steps (using ~2500 steps/mile equivalent), and the agreement between all of them was withing less than a hundred steps across about a dozen miles walked over several days. 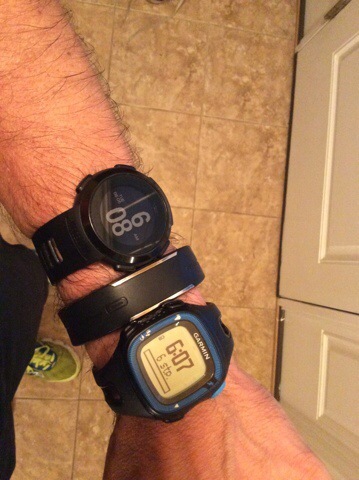 Comparing heart rate monitors is hard because you can really only have one monitor at once. So instead of making direct comparisons I used different sensors on different days on similar runs. And using three different sensors I got more or less the same message – my rate starts low, ramps as I ramp my intensity, then settles into a groove for most of my run. The Garmin HRM was the most comfortable and easist to adjust and wet of the ones I tried, and I have happily made it my go-to HRM. In terms of run tracking, I got a bit more involved … I used my old FR-10 on one wrist, the FR-15 on the other, and the Wahoo Fitness app on my iPhone in my running belt. I wore all three across a few weeks, and all three tracked extremely well. I will let the graphs speak for themselves – but the agreement was within +/-0.1 mile across the 7 – 15 mile runs. 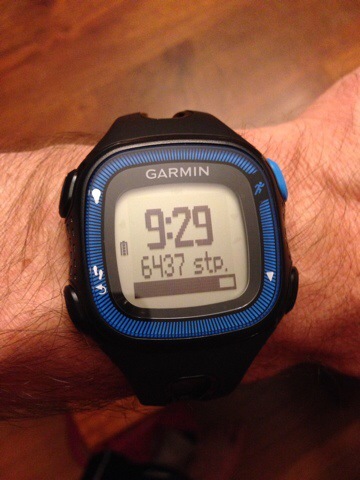 The Garmin FR-10 provided a great entry level GPS watch which I heartily recommended. The FR-15 improves on the FR-10 in every appreciable way, with better battery life, fitness tracking and suport for ANT+ wireless sensors. The Garmin Express app and site continue to become more useful and helpful with tracking and integration features, and the ability to do sleep monitoring graphs adds another new direction. With the FR-15 Garmin retains my vote for the best entry-level GPS watch. For $169.99 you get all the features of the $130 FR-10 and most of the features of the $130 VivoFit combined. 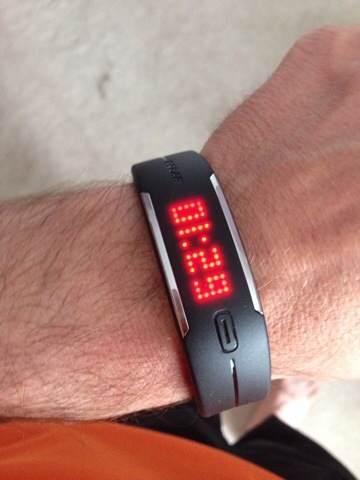 Add on the heart rate monitor and you have a $200 all-in-one fitness data collection system! What I Like: Great design; fantastic accuracy; useful fitness tracking; support for ANT+ sensors; super light-weight; perfect fit; great price; easy readability and controls; great choices in features. What Needs Improvement: Lack of wireless sync.